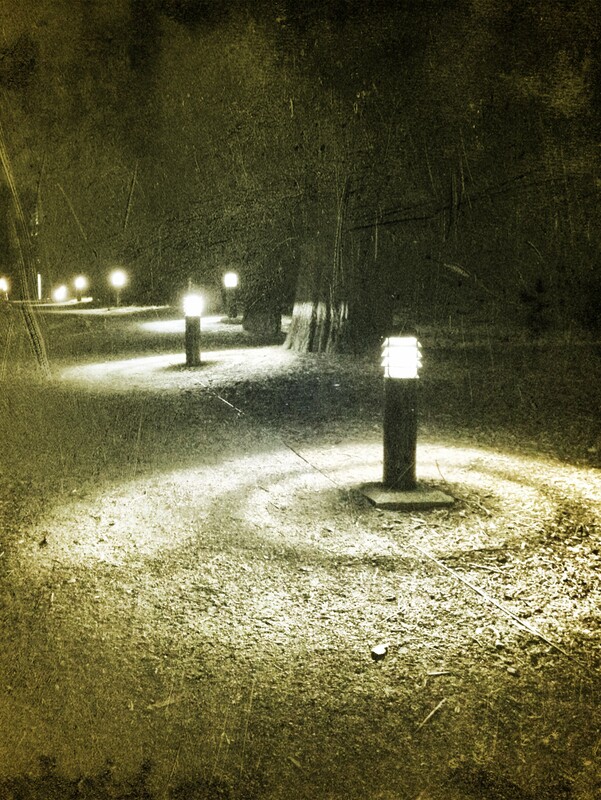 What is the significance of a path of lights? To most people, lights such as these show the way to your destination on a dark night. But to photographers, maybe there’s something more? Perhaps they provide symmetrical patterns over a cool texture, or pull your eye toward the distant horizon and into the mysterious beyond. Tonight I attended the monthly Blandy Photo Club meeting for the first time. Over the past year, since I’d heard about the club, I’d wanted to join, but it seemed that other commitments took precedence on the schedule. Finally, I just decided to set everything aside and make the time. I met a nice group of people, including pharmacists, retirees, journalists, and other professionals who all have a passion for photography and meet to exchange ideas and photos, explore new techniques and combine forces on projects. I’m ready to continue on my path to improving and expanding my photography skills, and joining the Blandy Club is another step that I hope will continue to light the way. Very cool photo…I really like the effect! It looks like an old photo but with modern lights! Thanks, David. It was a total experiment. I sat on the ground to stabilize the camera and used a grunge filter in the processing. I like this grainy, rough photograph. It has so much provocative energy. The streaks of snow or rain or whatever it is adds to the atmosphere. As does the monochromatic palette (or more correct duotone-like). I like the fact that you experiment with your visual expression. Great work. Thank you so much Otto! I am really trying to break out of my pattern and experiment more. It’s great to have the opportunity to study blogs from professional photographers like yourself to inspire me to try new techniques and ways of seeing. Many thanks!